Whiplash is a typical auto accident injury and affects more than two million people per year. In whiplash, the neck forcefully “whips” forward and backward, causing stretching of the muscles and ligaments and jarring of the vertebrae. Aching in the shoulder or back. Trouble sleeping or excessive fatigue. Blurred vision or hearing difficulty. Pain or numbness in the hands. WellnessPlus can help you regain your health with chiropractic adjustments to reduce pain and inflammation plus rehabilitative exercises to treat the effects of whiplash pain. 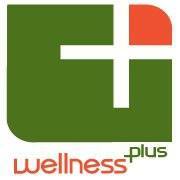 ​Here at WellnessPlus, we always start our treatment plan with chiropractic! To learn more about Wellness Plus' chiropractic treatment, massage therapy, rehabilitative exercises, & EMS/heat/ice treatments to ease your symptom(s), please click here.